On April 8, 2018, a 29 year old female victim ordered a ride using the ride-share application, LYFT. Suspect Jaswanthreddy Baireddy (24 years old; Fremont resident) was working within the Bay Area picking up customers and responded to the victim’s location in Oakland as the driver. Baireddy picked up the victim and drove her initially to an address in Berkeley. When the victim’s friend was not at the address, Baireddy advised he was now “off duty” and offered to give the victim a ride to her residence. The victim believed she was going to be taken home. Baireddy subsequently drove past the victim’s exit on the freeway. The victim informed Baireddy he missed the turn off and expressed a desire to go home. Baireddy suggested the victim rest while he got her food. Baireddy proceeded driving to Fremont, stopped at a drive thru restaurant and eventually brought the victim to his own residence in the 38000 block of Camden Street in Fremont. Baireddy escorted the victim inside his home and offered her marijuana. Within a short period of time, Baireddy directed the victim upstairs. Once upstairs, Baireddy informed the victim he was too tired to drive and suggested she lay down. Shortly after, the victim was sexually assaulted. Following the assault, Baireddy drove the victim home. The female victim sought medical care and contacted local law enforcement. The case was initially reported to a neighboring Bay Area police agency. However when the crime was found to have potentially occurred in the City of Fremont, investigators from the Fremont Police Department’s Crimes Against Persons Unit assumed the investigation. During the investigation Baireddy was contacted and provided a statement to investigators. Based on the victim’s statement, Baireddy’s statement and physical evidence, Baireddy was arrested. 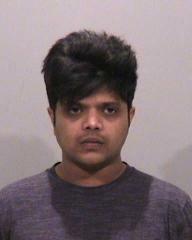 Baireddy remains in Alameda County custody (currently with “no-bail”). Baireddy’s next scheduled court date is set for later this week. 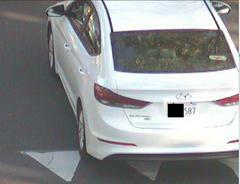 As a LYFT operator, Baireddy drove a rented white Hyundai Elantra (as pictured) which he returned prior to his arrest. Anyone with information regarding this incident or any other incidents involving Baireddy is asked to please contact Detective C. Tang at 510-790-6900 or via email at ctang@fremont.gov. We will also accept anonymous tips. Text “TIP FREMONTPD” followed by your message to 888-777, or via the web at https://local.nixle.com/tip/alert/6216337.